Now if you are like me...Then you have a HUGE collection is powders!! Well I have added embossing paste my collection!! It's the new craze and I have to tell you it is so much fun to play with!! SweetStamps carries them and I will tell you that you will not be disappointed with the results. Have you also seen the new collection of Art Stencils? M y card today uses one of these new Art Stencils and clear embossing paste. I love the black and gold color combination of the this card. 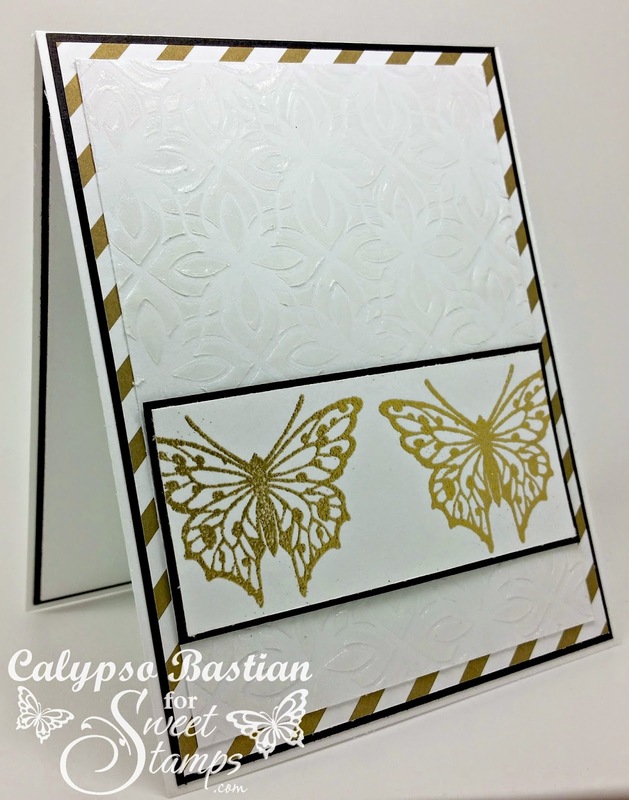 It is very simple, but I love the texture that the paste and embossed butterflies add to this card. Beautiful and elegant card. 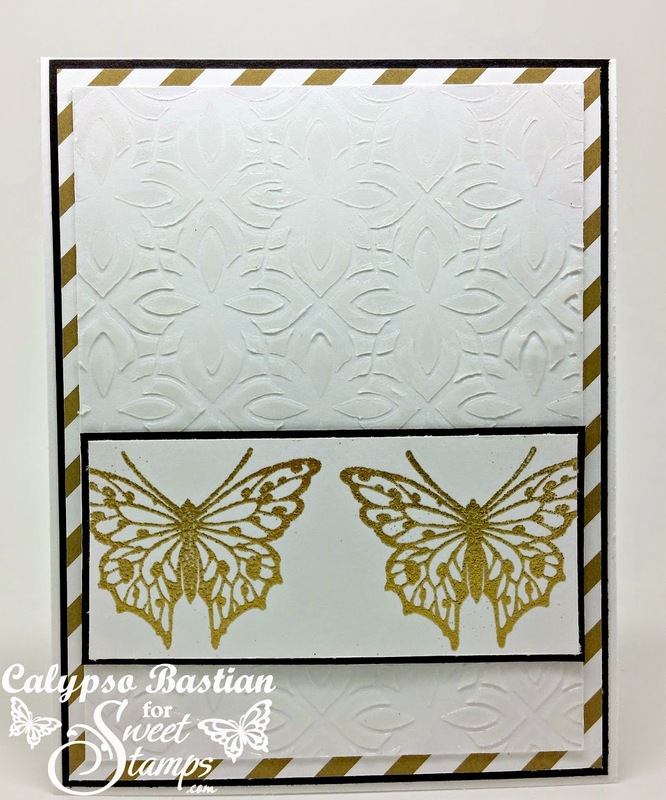 Love the texture from your embossing paste ... and the gold embossed butterflies are so beautiful. Thanks for joining us at ATCAS. Great luxurious card. Such pretty butterflies. Thanks for joining us at ATCAS. Gorgeous card Calypso! So elegant and pretty.